Earlier this year Environment America and the Frontier Group released a report for 2016 highligthing the vast potential for rooftop solar on big-box stores. With the reduced costs of solar and increasing electric rates, solar energy is quickly becoming a preferred investment by residential home owners and business owners alike. 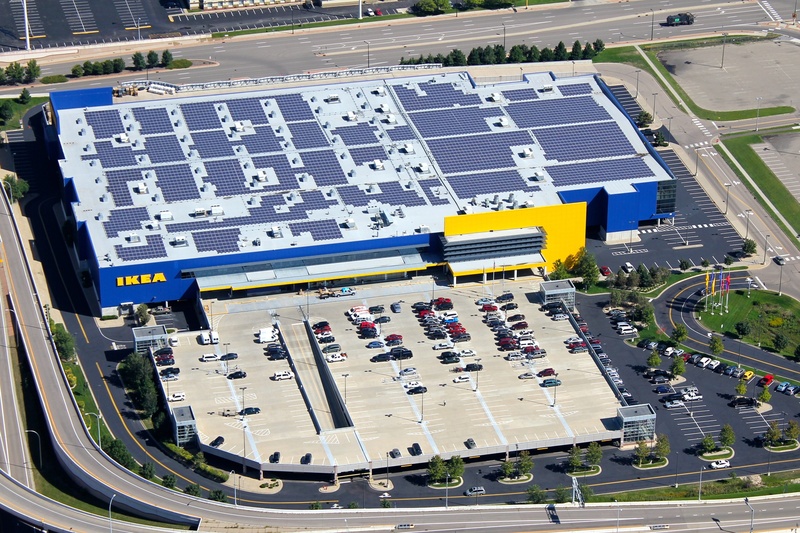 This report highlight's the massive solar potential for big-box stores, and identifies how "untapped" the commercial solar market really is. 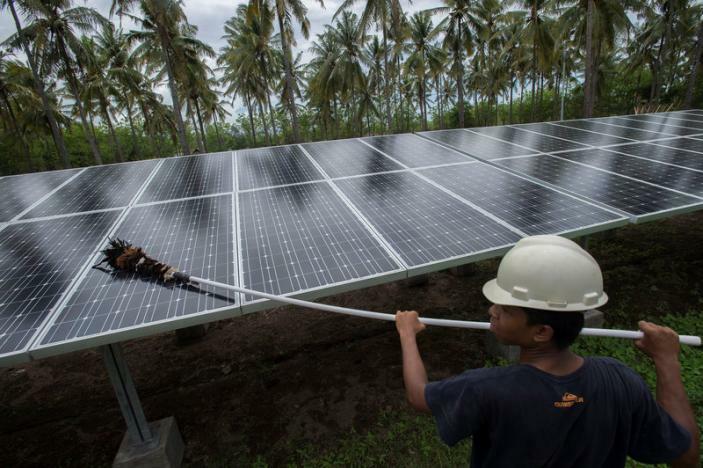 An employee of PT Perusahaan Listrik Negara (PLN) cleans the surface of solar panels at a solar power generation plant in Gili Meno island, in this December 9, 2014 photo taken by Antara Foto. Researchers and energy experts for years have toted the obvious environmental benefits of transitioning from fossil-fuel based energy to renewable technologies, such as wind and solar; but a new study out of Michigan Technology University has calculated the tremendous health benefits of this renewable energy transition, and the results are overwhelming. 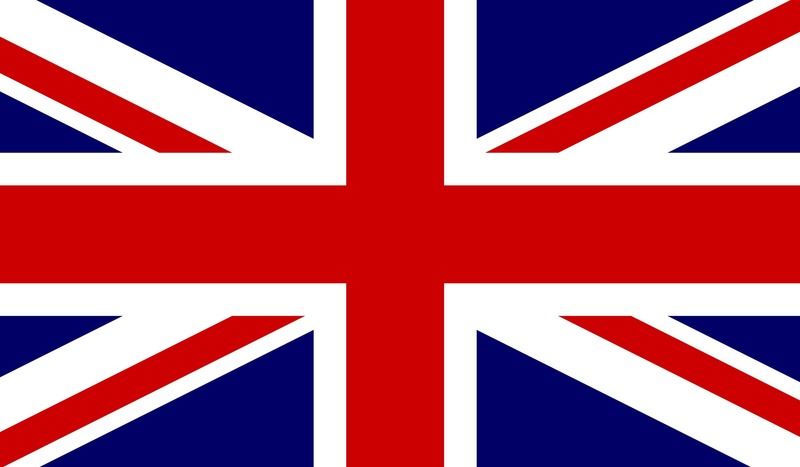 Though shadowed by a reputation of haze and gloomy clouds, the United Kingdom and its renewable sector received some bright news recently. 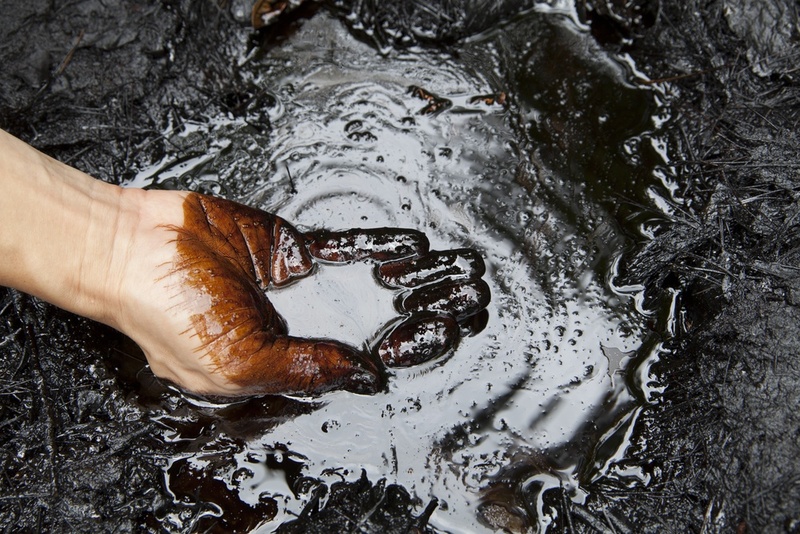 The U.S. has an estimated 30 billion barrels of proven oil reserves, and in 2015 used an average of 19.4 million barrels of oil per day, or 7 billion barrels per year. If the U.S. was to invest in drilling these oil reserves down to the last drop, we would have only enough oil to last 4 years. It seems like a no-brainer to try and leverage solar for one of the most common activities that humans do on a daily basis; transportation. So much money is wasted everyday on gasoline for our combustion engines, and you can't always find a high speed charging station when you are on the road for with your electric car – If only we could take advantage of the sun while we are in transit! The future of American solar power production looks bright-- in the second quarter of 2016 alone, 2 gigawatts worth of panels were installed. Put relatively, the solar capacity introduced between April and June of this year is roughly equal to the peak power generation of the Hoover Dam. California has long been the state for dreamers and doers. In recent history, it has also harnessed its ample sunlight to create the largest solar industry and most solar energy generation in the nation. Renewable energy technology pioneer Elon Musk may have a new endeavor on the horizon for his newly acquired solar company, SolarCity. "Solar’s not a tough thing to sell. People want more solar .… It’s like puppies and kittens," said SolarCity's head federal lobbyist Scott Hennessy in a recent interview. The large flat rooftops found on school buildings across the U.S. are prime real estate for solar energy systems. Combined with the solar canopies over the large parking lots and ground mounted solar array's across the acres of vacant land, school systems in the U.S. could be saving millions of dollars by going solar. Discussions surrounding the modernization of energy are often concentrated on updating extensive networks of fossil fuel-reliant power plants in developed countries. But what about the myriad populations around the world who don't yet have electric power of any sort? According to a recent report from the International Energy Agency (IEA), more than half of all new electricity generation capacity— 153 Gigawatt (GW)— created last year was derived from renewable sources. 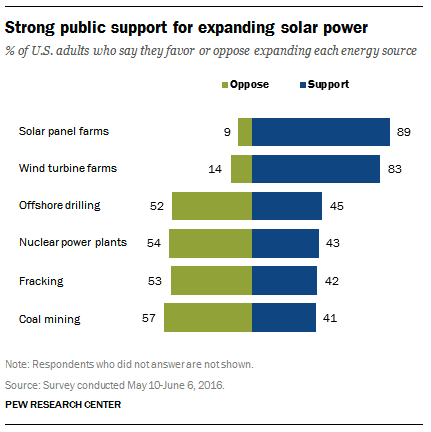 The increase, a 15% uptick since 2014, is comprised predominantly of solar and wind power. Though not as sunny as other states occupying the list, Massachusetts is considered the 6th in the nation in terms of cumulative, installed solar capacity. It is evident that the key to success for clean energy businesses, or any businesses for that matter, is to specifically cater to Millennials. This may not come as a surprise, but Millennials (people about 18-35 years old) are growing up and becoming the leaders and big investors in the United States. This means that understanding the needs and values of this generation, and then molding business practices to that, is crucial. Indian officials have recently released photos and updates declaring the completion of what is now the world’s largest solar power plant. 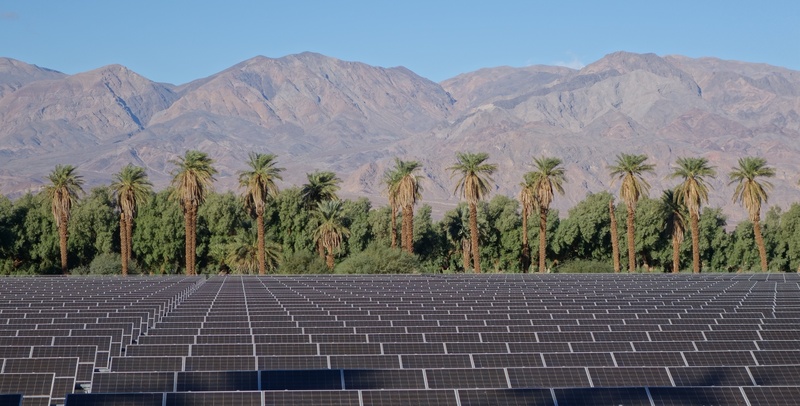 The project replaces the former global frontrunner, California’s 550 MW Topaz Solar Farm. While it doesn’t sound too surprising to hear that Google Inc. leads the list of institutions purchasing clean energy, the second position belongs to an entity a bit more unconventional. Per an article written by the Miami Herald yesterday, in Tuesday's primary election more than 70% of Florida voters approved solar tax breaks to incentivize Florida businesses to go solar. When a SpaceX Falcon 9 rocket went up in a blaze of flames Thursday, one casualty was Facebook. The rocket contained the AMOS-6 Satellite. Facebook was hoping to use it to deliver the Internet to millions of people in remote parts of the world as part of their Internet.org initiative. Perovskites have stolen center stage in the realm of photovoltaic technology and research, praised for their ability to bump up the efficiency of a typical solar array and for their relative affordability to traditional silicon materials. There has been much exploration-- and promising results-- of layering a thin sheet of the crystal atop a standard silicon cell in a solar panel. Yet many are deterred by the material’s compromise in durability and stability, thus limiting its potential to be used in various formats. Nevada’s promising rooftop solar industry hit a wall last year, after state legislation slashed rates for net metering and cut into financial incentives for homeowners. The new standard rendered solar panels a costly investment out of range for a majority of Nevadans, and was pushed largely by the state’s Public Utilities Commission (PUC). While solar energy is experiencing widespread growth around the world, many regions, especially those with highly concentrated urban areas, have grappled with issues of space. Metropolitan areas in Asia, the UK, and Brazil struggle to find adequate space for solar panels, which typically need to be affixed to a surface such as a rooftop, facade of a building, or the ground. Commercial Solar: Loan or PPA? 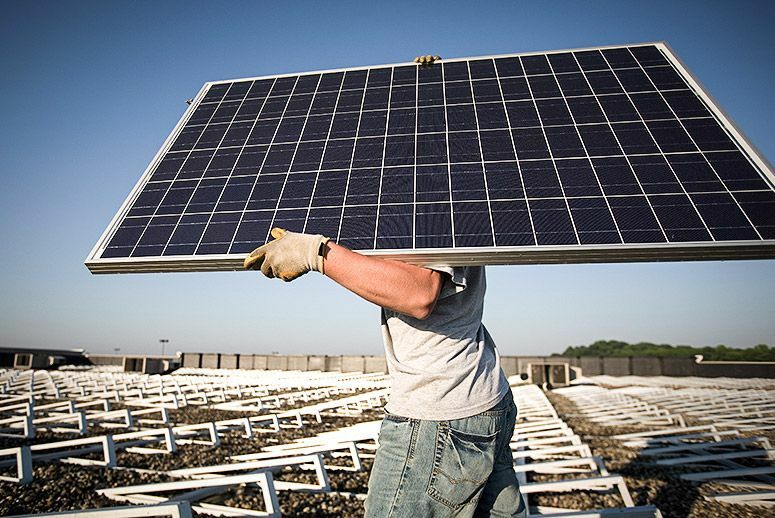 One of the biggest questions asked by businesses who are looking to deploy a commercial solar energy system is how to pay for it. Many solar companies are steering customers towards 3rd party Power Purchase Agreement (PPA) Models, but does this really provide the end-customer with the best ROI? According to a new report by GTM Research, the U.S. Commercial solar market is set to grow by 30% in 2016. The report also highlights that the U.S. commercial market will reach 3.0 gigawatts of solar power by 2020, amounting to a market size of roughly $3.8 billion. Information originating from the National Energy Administration (NEA) showed that in 2016 alone, China implemented 34.24 gigawatts (GW) of additional solar energy. With a confirmed goal of 110 GW by 2020, project deployment is centered predominantly in the east, with large-scale endeavors overshadowing a previously-planned carve-out for distributed generation. Industry experts believe that the figure is likely to be exceeded by the final date, and may soon eclipse the American market for clean energy. Companies across America are starting to see the benefit of solar beyond the obvious carbon footprint and direct cost reduction value. 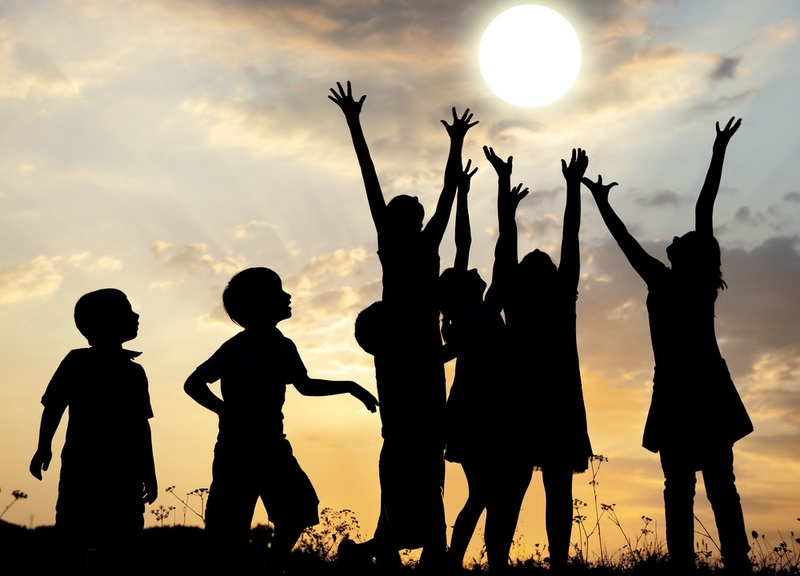 In an age of Millennials, there is an increased sensitivity to our health and our planet, that forward-thinking companies are leveraging through sustainability programs and realizing significant marketing value by showcasing their environmental responsibility. Recent data from the US Department of Energy has shown that Massachusetts is now producing 10% of its total energy from solar. Despite its relatively low average of sun hours per day compared to other states, Massachusetts can attribute much of its growth thanks to the 30% Federal Tax Incentive, as well as the competitive SREC market. Australia is making huge plans to expand their solar energy production. The energy company Simec Zen announced their intention to invest one billion dollars in various renewable energy projects, including solar, wind and hydropower. This 21kW project was just finished with @SilfabSolar panels, @APsystemsSolar microinverters, @EcolibriumSolar mounts and @eGaugeSystems monitoring. See what solar can do for your business! Goto https://www.solbid.com today!